"Love the location and the new facilities." 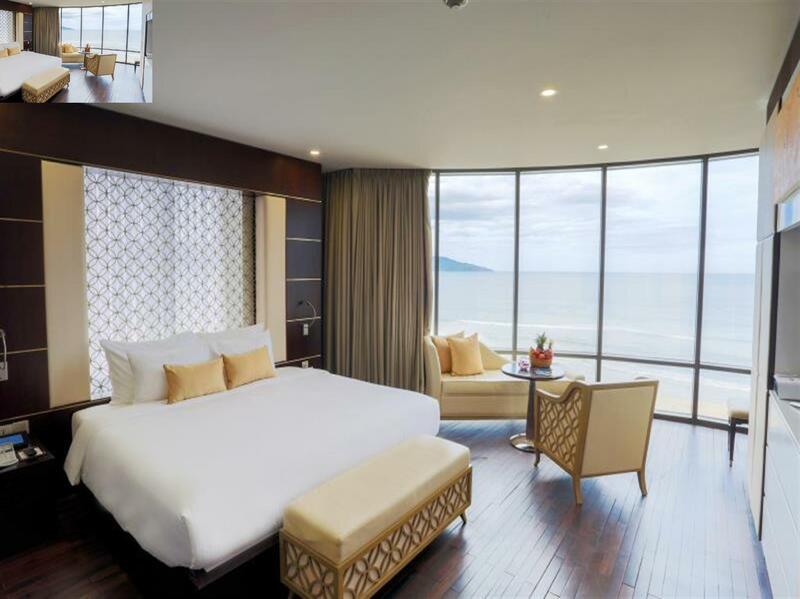 Have a question for Holiday Beach Danang Hotel and Resort? "The bedrooms are excellent as well." "I have never met friendlier people - location was great to get to meetings, taxis always available, breakfast food was a good options of food but seriously staf..."
"The staff at Holiday Beach are helpful and courteous." 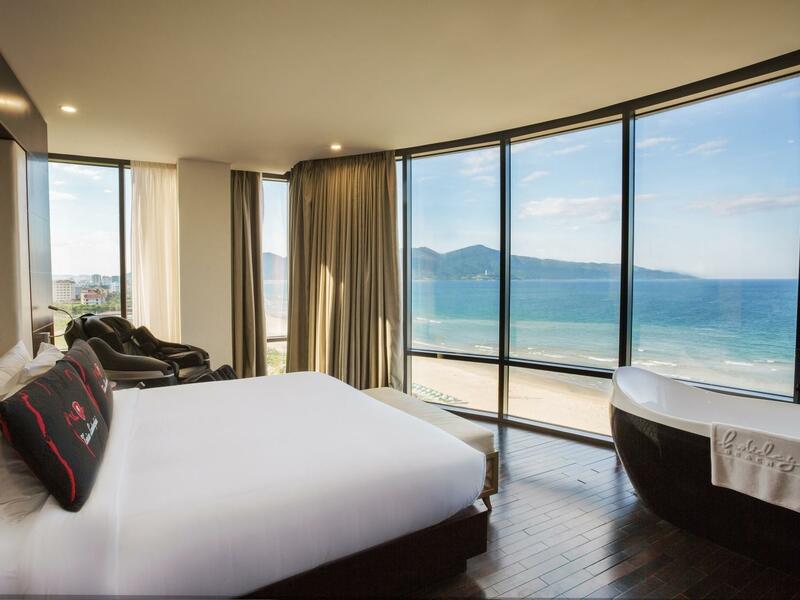 Built in 2013, Holiday Beach Danang Hotel and Resort is a distinct addition to Da Nang and a smart choice for travelers. From here, guests can enjoy easy access to all that the lively city has to offer. This modern hotel is in the vicinity of popular city attractions such as Bac My An Beach, Benh Vien Phuc Hoi Chuc Nang Da Nang, OASIS ART GALLERY. 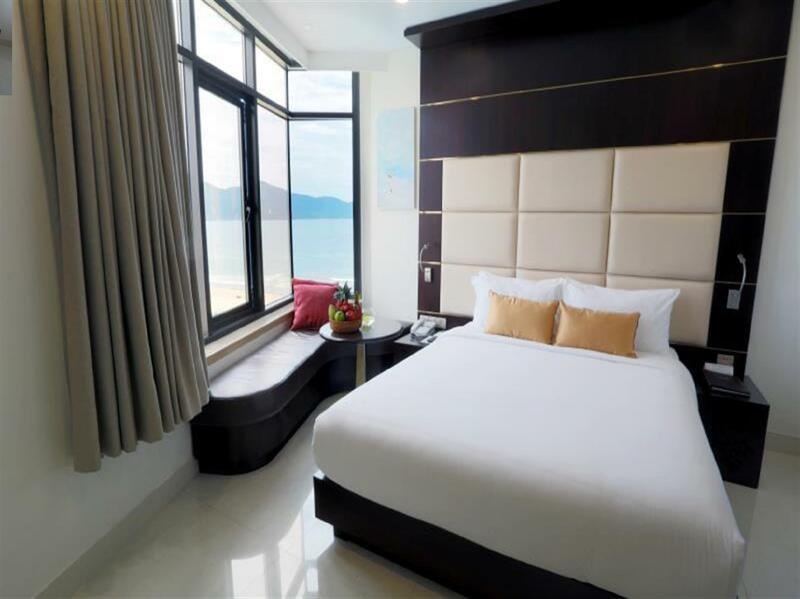 The facilities and services provided by Holiday Beach Danang Hotel and Resort ensure a pleasant stay for guests. For the comfort and convenience of guests, the hotel offers free Wi-Fi in all rooms, 24-hour security, gift/souvenir shop, taxi service, 24-hour front desk. 94 rooms spread over 14 floors provide a warm and pleasant home away from home. Modern comforts such as television LCD/plasma screen, clothes rack, complimentary instant coffee, complimentary tea, free welcome drink can be found in selected rooms. The hotel offers an excellent variety of recreational facilities, including fitness center, sauna, golf course (within 3 km), outdoor pool, spa. 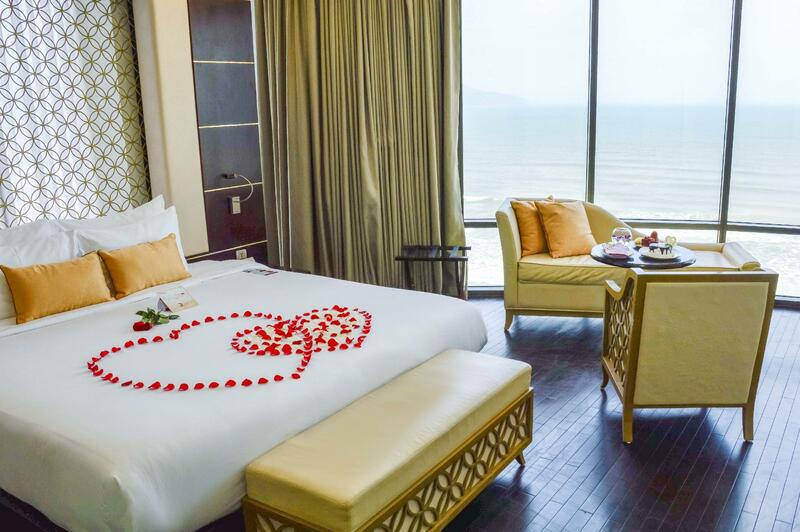 Holiday Beach Danang Hotel and Resort is your one-stop destination for quality hotel accommodations in Da Nang. "The location is excellent as it is very convenient to go to..."
The staff here at this hotel are superb and will help you with anything and everything. They are always smiling! Our room was very pretty but small and any available space( not much) is covered by the phone, glasses, tissue box..... so I found it difficult. Just not functional for me. The beds were on wooden bases with sharp corners so you have to be very careful when going by the beds you didn’t knock your legs/feet. The rooms do have a view of the beach across the street which was really nice and there is a beach bar across the street that served a very good hamburger and fries. There is an underground subway to use to get over to the beach side from the hotel as the road in front of the hotel is very busy with traffic and they do not stop for pedestrians over there. The pool on the top level is small and some of the boards in the decking need replacement. The food we had for breakfast in the cafe was very good and a good variety to choose from. This hotel is very good location , right across a road is a beautiful beach , 15 floor is the roof top swimming pool , you can have a good view of the "My Khe beach " . Hotel staff very helpful if you need booking of taxi or other transport , price are very reasonable . Holiday Beach Danang far surpassed my expectations. This is a well situated hotel on a lovely section of the beach. Very clean and the friendliest of staff. Breakfast was excellent - the best I've had and I travel a lot. Internet connection was strong throughout the hotel and even on the beach. Very good value. 한국인개무시합니다. 한국분들 제발 가지마세요. 여기 다낭네이버 카페가도 후기 안좋아요. 영어말귀도 개못알아쳐먹음. 새벽2시에 경찰부른다고 협박하고 방 금액 떠블로 불렀어요 양아치새끼들. 아고다 통해 환불받고 후기쓰는건데, 진짜 이새끼들 노답. <Staffs> I didn't expect that kind service things or etc. but keep calling to phone in the room and threat to calling the police at 2AM? INSANE and their English, really hard to understand, and for sure they don't get all what you are saying. plus, they don't respect Asian tourists, <Room> super small twin bed. for sure the beds are not for hotels. <Pool> super small. they are just crazy to gather money. Holiday Beach Danang Hotel is quite nice, great breakfast, clean and comfy rooms, friendly staff, and it is right across the street from the beach. There was a lot of construction during our visit, but it didn't impact my relaxing beach days. At night there was loud music on one side of the hotel, but the staff quickly responded and let us move rooms. All in all, it was an enjoyable stay! Got it's own patrt of beach , located at a relatively quieter part of My Khe. There's a convenience store names K-market nearby, and some small & good restaurant around. But the facilities of hotel is frankly old and waiting to be vanished. And the main pool is still under-construction. The spa is very good in the hotel. The location just 10-15 mins from Danang airport. The hotel beach club itself is very good. The beach is beautiful.All staffs are very polite, helpful, nice. The receptionists are very patient, enthuasitic, and really really did a very good job. I love staying here! Great place to stay.. But not wow. The room is clean, and staffs are friendly. However, breakfast has limited choices & on going contruction (extension) causes inconvenience for swimming. Overall, not a bad place to stay, i would give more stars if the price is lower. Great hotel. Small room but was ok. Beach was right across the road, the hotel even built an underpass for the horrendous traffic. Private beach area with beach bar, beach chairs and shade (only for hotel guests). Rooms were cleaned twice a day. Price includes a massage/spa/pedicure/manicure daily. Men only have the option of a facial. Free shuttle buses to a world heritage site + a local market. Tip is to book shuttle and daily spa in advance for the slots you want. A very comfortable stay in general. The only area to improve on is the food of the hotel. It had been hits and some misses so far. Hotel is at most 15 mins away from airport but please cater more time for check-in and clearing customs as the queues were very long. Excellent staff, position great. Only 2 negatives-pool staff did not clean up towels from pool side chairs so even though no one was there all deck chairs had towels left on them. Lift did not have sensors on them so kept closing on people. We stayed 3 nights in Holiday Beach Hotel. Upon arrival we were surprised to see the extent of building taking place next door to the hotel and it almost put us off but we are so glad it didn't deter us. We were greeted warmly and professionally by all staff from doorman to Receptionists upon arrival and throughout our stay. They apologised for the building work (for expansion of the hotel) but explained we could use the rooftop swimming pool if we preferred to the main pool and also explained about the Hotel Beach Club across the road. The first afternoon we spent at the main pool and afterwards at the Beach Club which we loved. There were also complimentary drinks available at the rooftop bar at happy hour. Best of all, each guest could receive a complimentary massage or treatment or pedicure / manicure etc every day from their spa. We had daily massages (60mins) which were fantastic! Our bedrooms were clean and the bed is to die for! So comfortable! 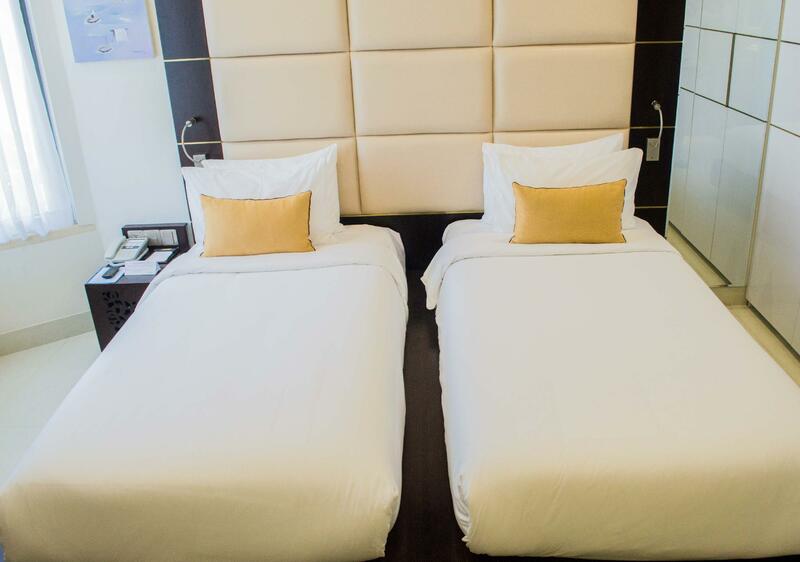 We travel extensively in Asia and these beds were possibly the most comfortable we've ever experienced! We were on the 11th floor and were not aware of the building work at all. Clean, well designed bathroom facilities. Very modern design. The internet throughout the hotel was superb - even on the beach from the beach club! Breakfast was extensive and so fresh. Each day incorporated new choices and would suit the asian and western guests staying in the hotel. We loved staying at the Holiday Beach Hotel in Danang and would happily return or recommend friends / family to go and stay there. We are group of 12, with elderly and child. Our first visit to Danang, hence hotel staffs helped a lot in booking restaurant in Têt peak season and suggestion for places to visit. Breakfast and rooms are great, we had great sleep on the bed every night. Staffs helped to call meter taxi and told taxi driver that places we wanted to go. Massage team are great. I love this city! Especially thank you for Tran Van Kha, Loan, Vy, My, Hoang My, Ha (Massage team) and others. Hotel staffs are so great, make us feel like we are welcome anytime everyday. We feel like they are our family members. The hotel room are okay for us, not too tiny. Breakfast also great and few dishes change everyday. Staffs helped a lot in arranging shuttle and massage for us. They helped to call meter taxi and helped in suggestion places to visit. Next, they helped to book restaurant in this super peak season-Tet, Vietnam New Year. Staffs are really friendly. Thanks to their help. They make our trip so excellent! Thumbs up for all of them from guest service to reception, massage team, drivers etc. Well done! 12 of us had stayed in this hotel for 3 nights. My parents, siblings and relatives are very happy. We feel the hotel is so comfortable.The hotel staffs are extremely friendly and helpful. The staffs make us thinking to return back to Danang. All the staffs in reception, customer service dept, massage dept, drivers etc are so great! We had great complimentary massage! Next, we had complimentary shuttle to Hoi An and Han Market! The staffs also helped us a lot in suggestion and booking on restaurant. They also helped us to call meter taxi and suggestion on places to visit. Definitely will recommend to friends! Good job! Keep it up! Very good stay overall. The room itself leaves some room for improvement. Although neat and clean there are some very simple things that can make it a lot more user friendly. For example - there are no hooks/hangers for towels outside of the shower! So one basically has no choice but discard the bath towel after single use ... Absolutely useless tiny coffee table - can barely fit in tea pot and 2 cups! There is a room for significantly bigger one! And last one - not so easy to improve - there is a glass toilet basically right in the room. Some rooms have a sliding wooden door install to separate the facility from main sleeping area, some not ... All should have that! the rooms are a bit small, the rooftop pool is like an enlarged jacuzzi whirlpool but stunning coastal view of the red beach! breakfast was abundant, the staff was able to accommodate our request for a green smoothie. most of all the highlight was the staff service. The degree of attentiveness and willingness to serve of Lam and Sonh was the very highlight of my stay. When we got there around 7pm, I was told the fire-breathing show of the dragon beach will be at 9pm, among other recommendations of places to see and experience in Danang. At the back of my mind we wanted to rent a motorbike to explore the city in 24hrs. By the time we got to the bridge in a cab, we decided to rent a motorbike for 24hrs to make the most of our stay. So i called the hotel and had Lam arranged the motorbike to meet us at a designated place near the bridge 15mins after. He arranged and made sure we have our motorbike. The approach and dedication was on the dot, made our 24hr danang time worth every minute. Yes, rent a motorbike! Overall, we had a pleasure experience in Da Nang, which the staff suggested a lot of good tourist areas and restaurant. Good location, it is just in front of the beach. Also, the therapists did a very good job in spa. We felt very comfortable when staying in the hotel. It provides a very quiet and privacy area for us to stay with.